The Renwick table lamp from British lighting aficionados Heathfield & Co, combines modern elegance with geometric detailing. The base has been expertly crafted from ceramic and finished with a burnished gold leaf for an on trend brushed metallic style. The slip cast ceramic base is faceted with a geometric design, allowing the exquisite lamp to be appreciated from all angles. The base is crafted entirely by hand which makes each piece completely individual, a true statement piece for any room. 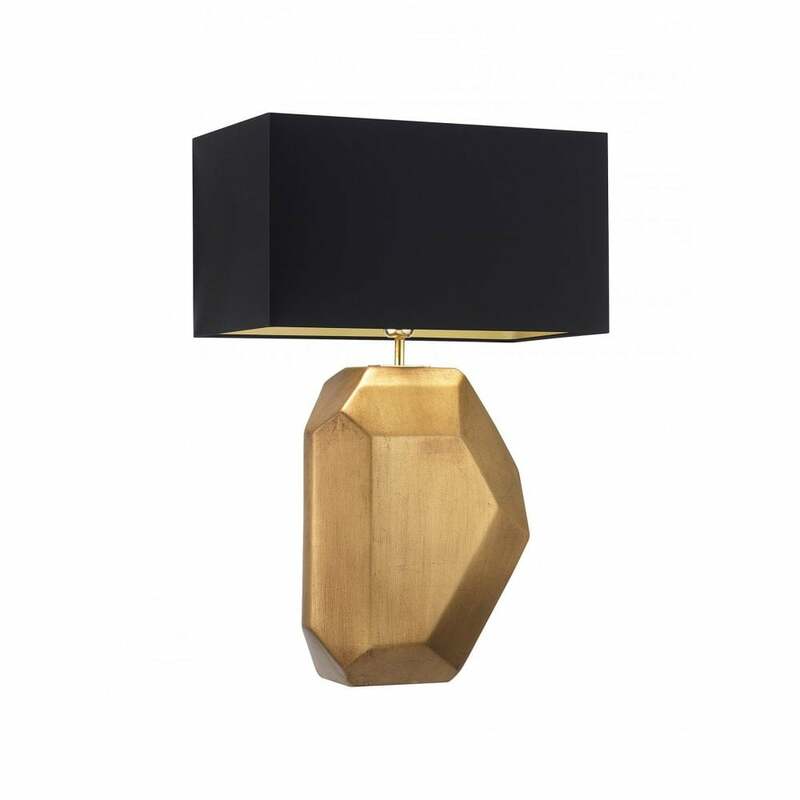 Style this lamp in a beautiful bronzed bedroom or a as a side table centrepiece in any luxury living space. Shown here with black brushed satin lampshade, other colourways and finishes available upon request.